Rahul said that it was the first time he saw a state where all communities were agitating for one or the other reason. 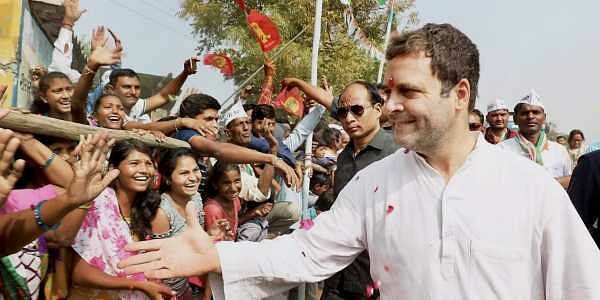 PATAN (GUJARAT): Congress vice-president Rahul Gandhi on Monday cornered Prime Minister Narendra Modi over development in Gujarat, claiming that the whole of Gujarat was agitating for one reason or another, except five to ten businessmen, thus hinting that the developmental work was only concentrated towards one lot. Rahul continued reiterating his many attacks on the Bharatiya Janata Party (BJP) government and their alleged favour to the business class. “The UPA Government had put Rs 35,000 in MNREGA, which gave employment, families prospered, and the nation progressed. Now, Modi ji gave Rs 33,000 crore to only one factory - Tata Nano. The amount we used for progress of the nation is the same amount Modi ji gave to a company in Gujarat,” Gandhi said, and reiterated his previous assertion that he never saw one Nano car in all of his visits to the state. In the run up to the Gujarat assembly elections, the Gandhi scion has been agressively targetting the BJP.